Hope Force International (HFI) Reservists gathered before daylight today at the HFI office to prepare for their long journey to Lumberton, North Carolina. Team members from New Jersey, New York, Pennsylvania and Ohio are making their way to join them. With road conditions being what they are, please pray that our team will be able to make it all the way in later this evening. For several of our Reservists, this is a familiar destination. When Hurricane Matthew brought devastating flooding to this city in 2016, HFI formed a deep and lasting relationship with civic and church leaders in this hard-hit city. These same individuals are comforted, once again, by the knowledge of our pending arrival and have expressed their heartfelt gratitude – opening doors for HFI's return. 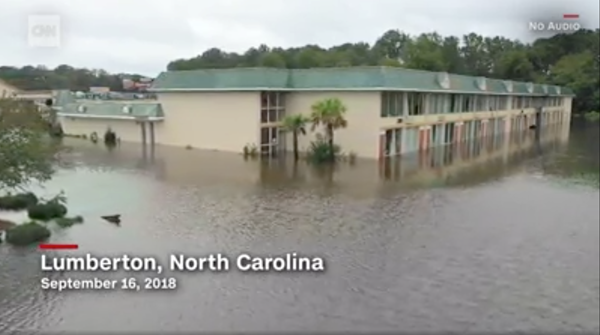 Lumberton has suffered a serious blow, and is now being flooded in new areas which were spared in 2016. Multiple evacuations are still in progress; it appears that the worst is yet to come. Rivers in the area are setting new records as they prepare to crest. 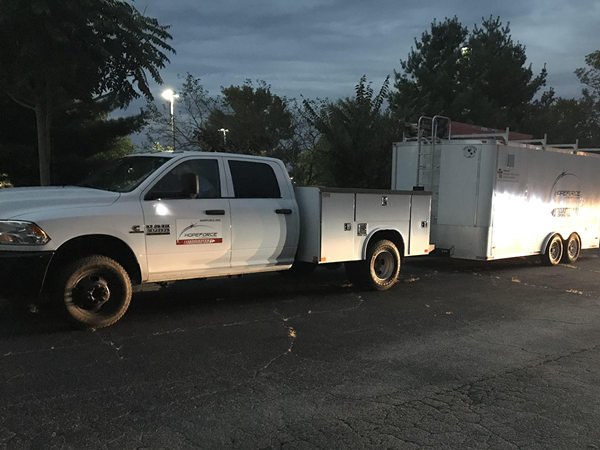 This first team will establish a base of operations to prepare the way for many other HFI Reservists and volunteers that are scheduled to join them later in the week. They will be connecting with local authorities that have already identified those in need of assistance. In times like these, people need to see a very practical expression of the "Good News" – the love of God conveyed through acts of compassionate action. We want to thank you in advance for your prayers. We also want to express gratitude to the many volunteers and their families who are, and will be, giving sacrificially of themselves in the days ahead. 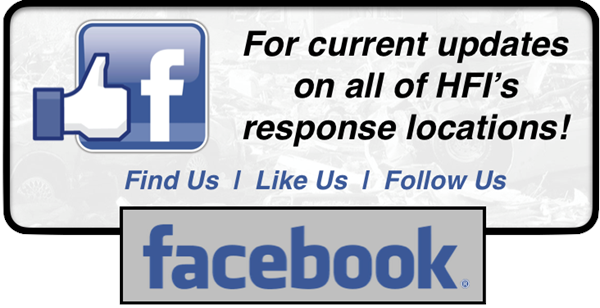 PLEASE CONSIDER MAKING A FINANCIAL CONTRIBUTION TO HFI’S HURRICANE FLORENCE RELIEF EFFORTS! OUR HOPE AND PRAYER IS TO SERVE AS MANY AS WE CAN...AS QUICKLY AS WE CAN.